Nothing says dress ups quicker than a simple mask, and these ones have attitude!Pretty cute, right? Felt masks are the king of dress up costumes, in my opinion. Easy to put on, easy to take off, easy to chuck in the wash after vigorous play. These ones come to you from just across the ditch, from a team of two sisters, who form Struckla & Peach. Their shop is full of dress up items that are both really cute, and really practical. Bright colours and good design are the backbone of their dress ups – the kind of items that just keep powering on, child after child. 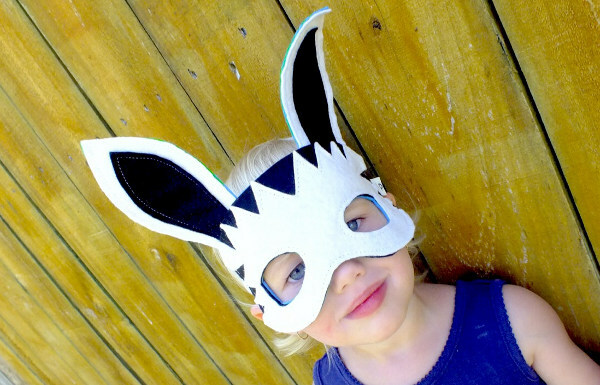 The animal masks are definitely the pick of the bunch, and are good value at NZ$24 each. A good range of interests are covered – all the way from dinosaurs to butterflies and plenty in between. 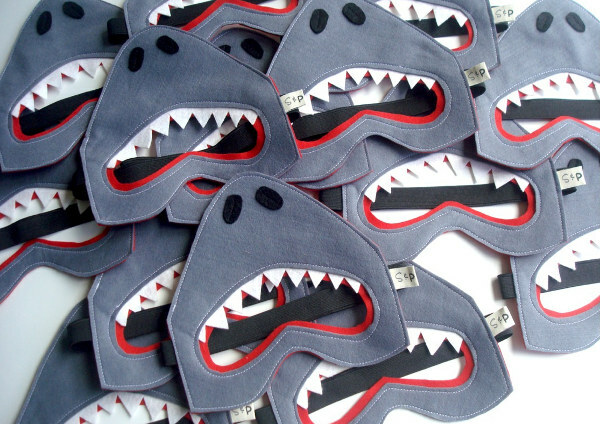 Seriously, who can resist one (or many) of these shark masks? Not me. 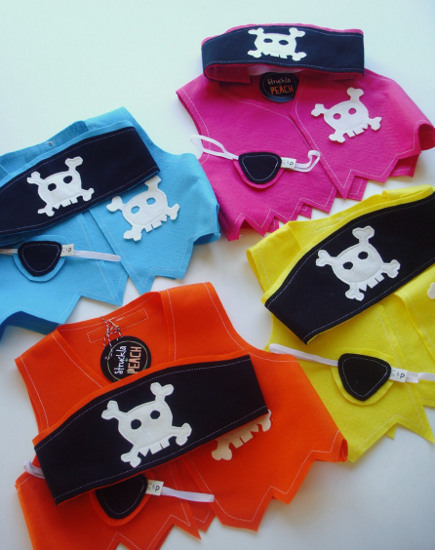 If you want to take the dressing up to the next level, consider the Pirate Dress Up set (below) which comes in a huge range of colours and includes vest, hat and eyepatch for NZ$45. Check out the whole range and purchase directly at Felt.